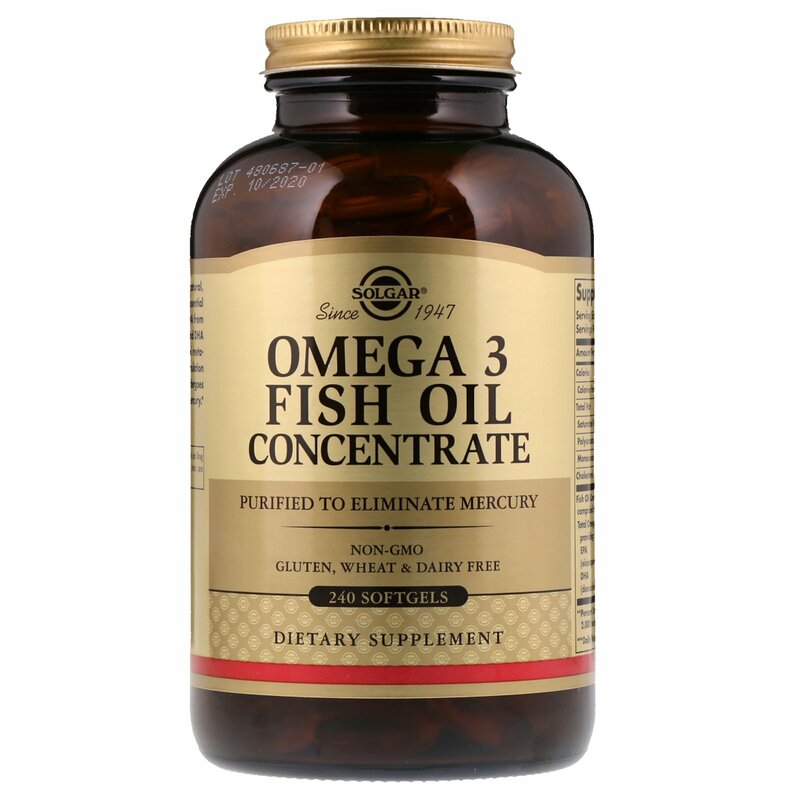 This formulation provides a natural, concentrated source of the essential Omega 3 fatty acids EPA and DHA from deep-sea, cold-water fish. EPA and DHA support cardiovascular, joint and immune health. The fish oil in this formulation is tested for optimum purity. It undergoes molecular distillation to remove mercury. 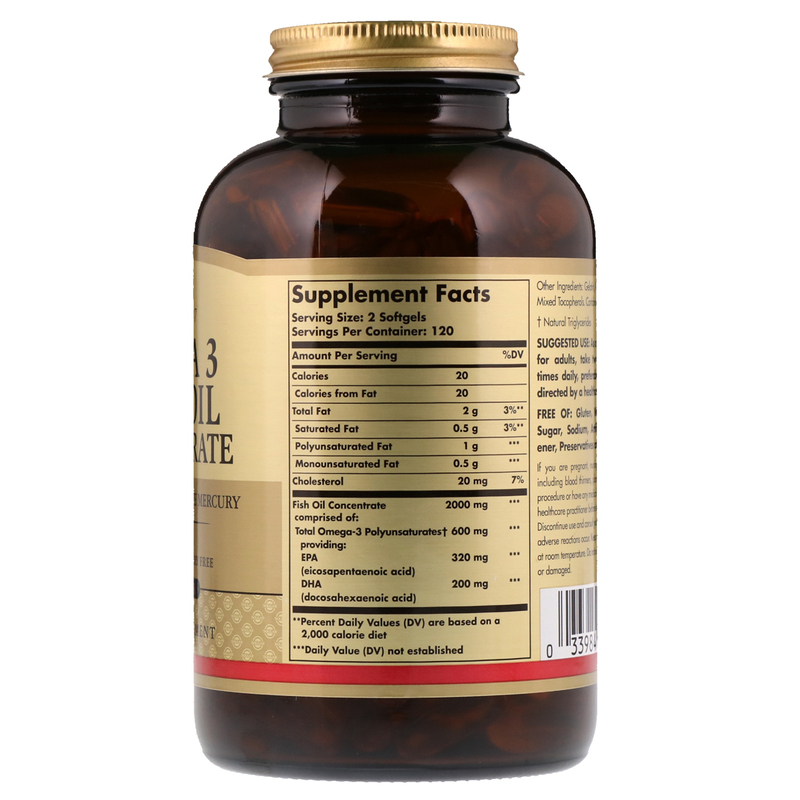 As a dietary supplement for adults, take two (2) softgels three times daily, preferably at mealtimes, or as directed by a healthcare practitioner. Gelatin, vegetable glycerin, natural mixed tocopherols. Contains fish (anchovy, mackerel, sardine). If you are pregnant, nursing, taking any medication including blood thinners, planning any medical or surgical procedure or have any medical condition, please consult your healthcare practitioner before taking any dietary supplement, discontinue use and consult your healthcare practitioner if any adverse reactions occur. Keep out of the reach of children. Store at room temperature. Do not use if outer seal is missing or damaged.